If you're in the market for a new smartphone, but don't like paying full price, Best Buy's latest deal on the Pixel 2 and the Pixel 2 XL may be the one you're looking for. 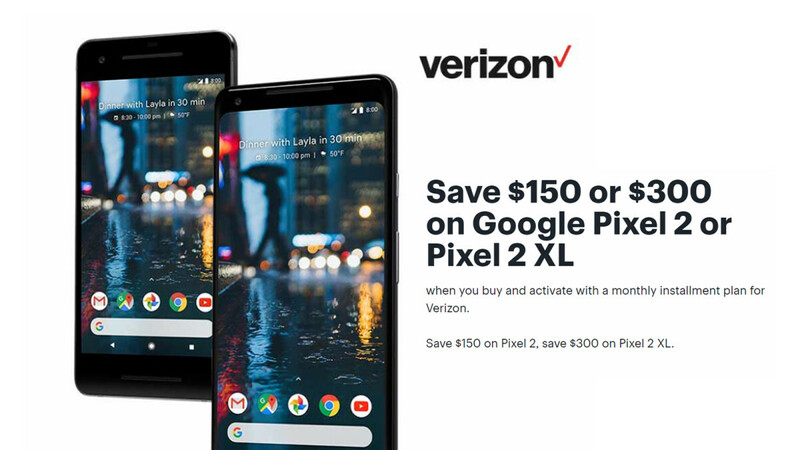 Best Buy is now running a "Save $300" on the Google Pixel 2 XL or a "Save $150" on the Google Pixel 2 deals with qualified Verizon activation. We are talking instant savings at checkout and not bill credits. The deal brings the 24 monthly payments due on the 64GB Pixel 2 XL from $35.41/month, down to $22.91/month, and from $27.08/month down to $20.83/month for 64GB Pixel 2. This effectively shaves off $300 of the regular price of the Pixel 2 XL and $150 off the price tag of the Pixel 2.